The secret to making this steak fajita recipe taste like what you order in a TexMex restaurant is in this powerful fajita marinade recipe, also repeated below. 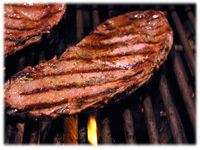 Choose an inexpensive skirt, flank or sirloin tip steak on sale and let it sit in the fajita marinade recipe overnight. Once it's cooked and off the grill you'll slice the meat paper-thin and wrap it with sautéed red and green peppers and onions in fresh flour tortillas. Serve these fajitas with sour cream, salsa, guacamole and shredded cheese and your guests will think they're in their favorite TexMex restaurant. 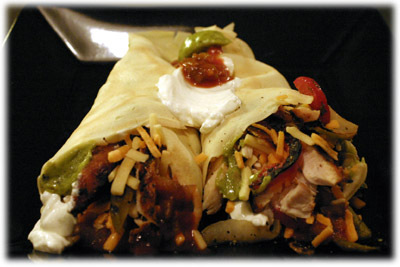 We've also got this great Chicken Fajita recipe here. Note: for best results marinate 4 hours up to overnight. Tip: I recommend using the liquid mesquite smoke flavoring unless you're planning on using real mesquite smoking chips while you grill the steak. 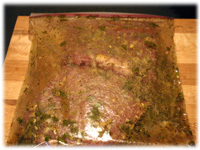 Prepare the steak fajita marinade recipe by combining all the marinade ingredients in a medium bowl and mixing very well. 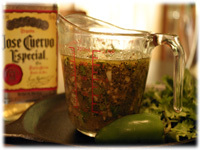 Ensure the oil mixes well with the lime and tequila. 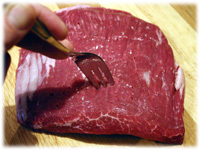 Prepare the steak for the marinade by piercing it repeatedly with a fork. This will help the marinade penetrate the meat a bit better. Place the meat in a re-sealable plastic zip bag. Pour the marinade into the bag and seal it. Place it in a shallow dish to prevent leakage and put in the refrigerator for 4 hours to overnight. 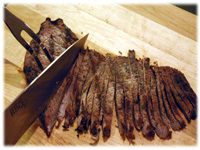 The longer the marinating time really helps this cut of beef and gives this steak fajita a real mesquite flavor boost. Clean and oil the grates of the BBQ and preheat to 500F - 550F. 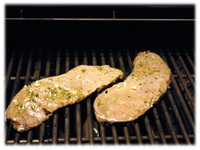 When the grill reaches temperature place the marinated steaks on the grates and close the lid. After 4 minutes lift the lid and flip the steaks. 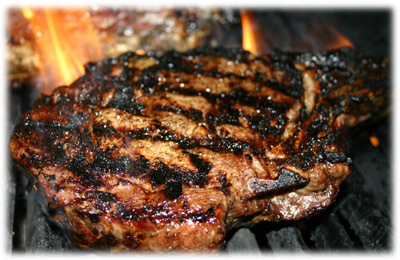 Close the lid for 4 minutes longer, then remove the steaks. Cover with tin foil and let rest 10 minutes before carving while the vegetables cook. Tip: If you're using special cast iron fajita serving trays then preheat them in the oven or the BBQ at 425F for 30 minutes before serving. 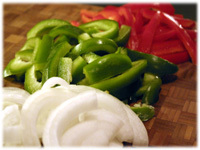 Slice the red and green peppers into strips. Cut the onion in half and then slice so you produce strips. Place 1 tablespoon olive oil in a skillet and preheat to medium-high. Sauté the vegetables 5 - 7 minutes until they begin to soften but still have some bite left to them. 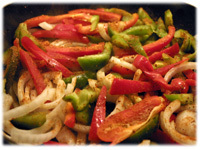 As the vegetables are cooking sprinkle 1 tablespoon of Cajun of Fajita seasoning over them and stir well. Slice the steaks across the grain in thin strips. 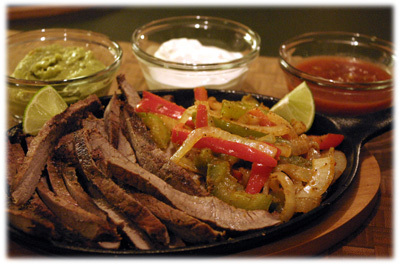 If you're using special cast iron fajita serving trays, remove them from the 425F oven after 30 minutes and place some steak strips and vegetable strips on the cast iron trays. 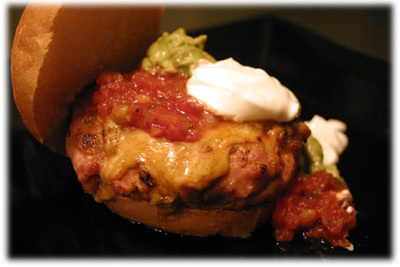 Squeeze some fresh lime juice over the food to make it sizzle and then serve immediately. 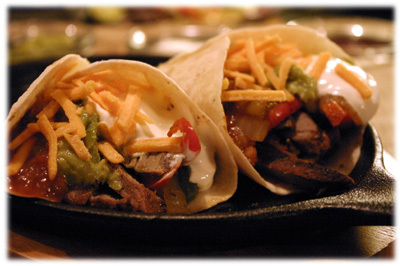 Serve this steak fajita recipe with fresh flour tortillas (or try these soft fluffy crepes instead), sour cream, salsa, guacamole and shredded cheese.